The Fenix SL Ultegra Disc road bike is the perfect “all-rounder” offering a perfect blend between performance, weight, strength, stiffness and especially comfort for long days in the saddle. The addition of powerful, easy to modulate hydraulic disc brakes helps you descend in confidence and ride in control regardless of the weather conditions or terrain. With lowered seatstays and no need for a caliper brake bridge thanks to the disc brakes Ridley have been able to engineer in a certain amount of compliance into the carbon layup increasing comfort over rougher surfaces as well as adding stiffness at the rear wheel thanks to large square chainstays and a thru-axle hub. 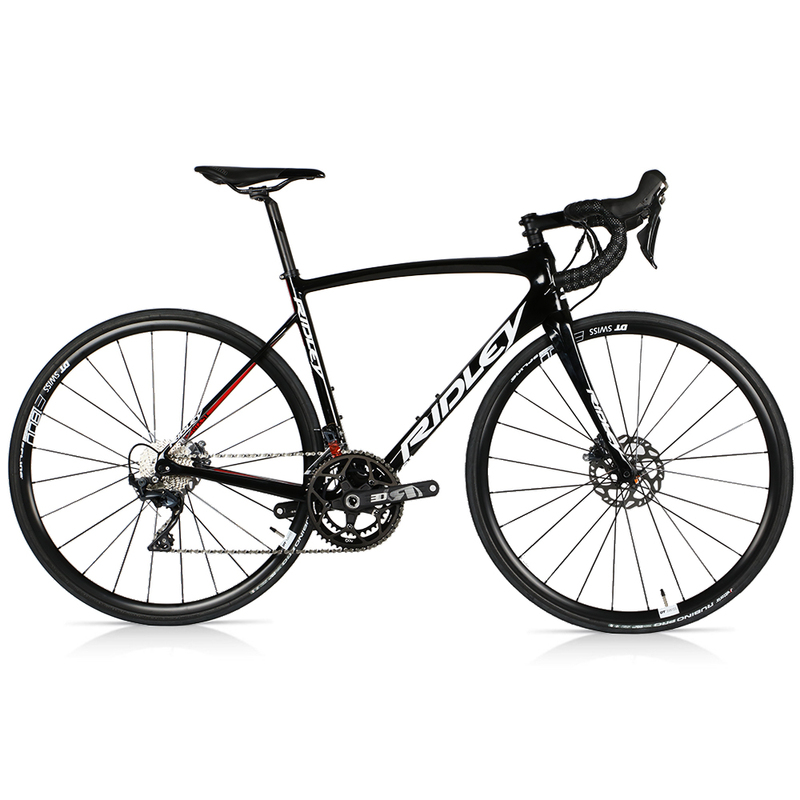 The Ridley Fenix SL Disc carbon road bike features a unique diamond shape tubing that creates reinforced edges for a robust frame with increased impact-resistance. With strong, robust properties while being lightweight and responsive the Fenix SL is the top choice of the Lotto-Soudal pro cycling team when they’re taking on the Spring Classics over cobbles and rough Belgian roads. While this carbon disc road bike expertly handles top competition, it is also perfectly suited to the part-time racer or recreational rider in terms of performance, comfort and cost. With the addition of cutting-edge hydraulic disc braking the Ridley Fenix SL Ultegra Disc is the optimal bike for tackling your next Gran Fondo or extended tour through the Flemish Ardennes.